Heard a little bit about Dalefoot composts both in the gardening press and also online, I was really keen to get an up close look at the produce. 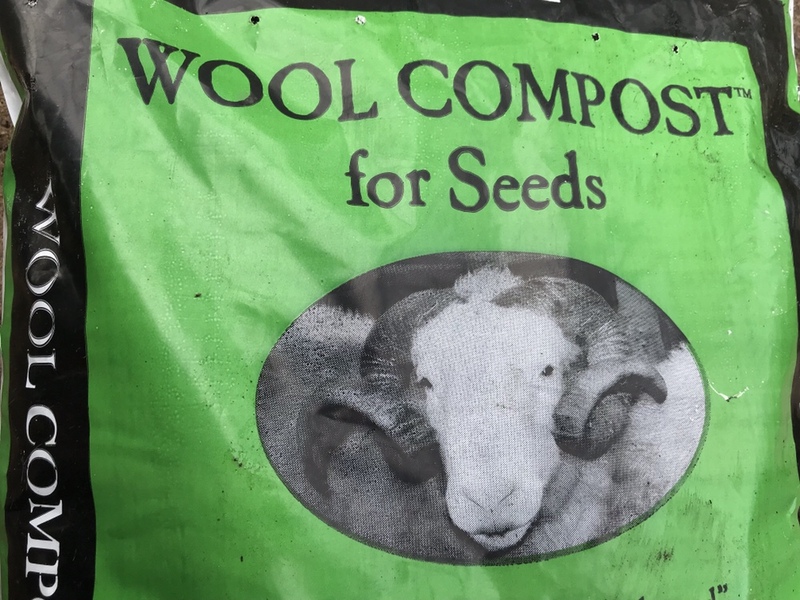 It is indeed an old Victorian recipe of composted bracken and sheeps wool, yes you did read that right, composted sheeps wool, not an average day to day compost ingredient is it. Dalefoot Compost is based up in Lake District on a traditional hill farm, Simon is a 5th generation farm while Sally is a Environmental scientist, they started on this project in around 2000. Bracken is a big problem for the hillside farmers, a left over from the time the hills where forests. Bracken causes problems both to existing plants and grass. It is a problem I have seen and spoken to wardens about in the past in woodlands near me. So it is a great way to reduce the spread of bracken and also a way to use up unwanted sheep wool that doesn’t either make the mark or isn’t required. The wool adds moisture retention slow nitrogen release to the compost while the bracken is potash rich and rots down to produce a fine compost. So it sounds a great way to produce a ecological sound compost. I wasn’t too sure what to expect when I first saw it but it does look like a good quality compost, fine, dark in colour, a great feel when rubbing it though your fingers, a great deal of sponginess when squashing it in your hand, yes I was a little impressed. Now I prefer to use peat in some form when sowing seeds, I have found that looks based ones can hold too much water for me , coir doesn’t hold enough so I am always look for another peat free compost for sowing seeds and my little brain is thinking it maybe the right product to replace peat with. It sounds a little weird. I am glad you are trying it. I would not want to. Very interested to see how this goes. Always good to know about the peat free alternatives. I will follow this experiment with interest as I steer clear of peat and have had some extremely disappointing seed sowing results in the past as a consequence. I have a bag of this, I’m looking forward to starting seed sowing.